Spending the night in the “Hub City”? 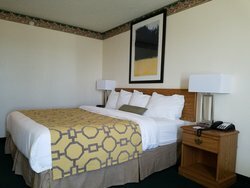 Our elegant lodging in Limon, Colorado offers guests comfortable accommodations at a great rate! 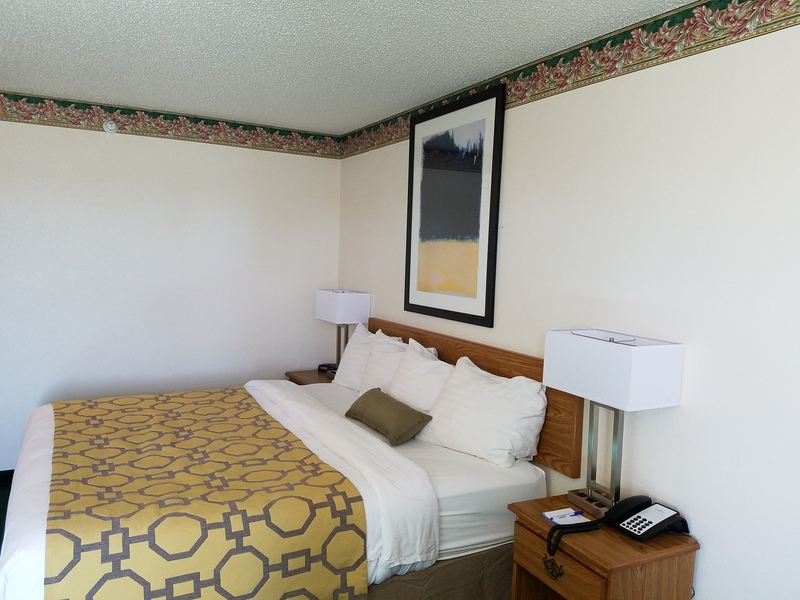 Our recently-renovated Limon, CO hotel rooms are able to accommodate a wide variety of guests! 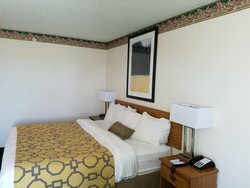 Our king room is ideal for a business trip or a romantic vacation, while our double queen room is great for a family trip! Feeling indulgent? Our king suite is perfect for guests looking to enjoy a luxurious night in Limon. 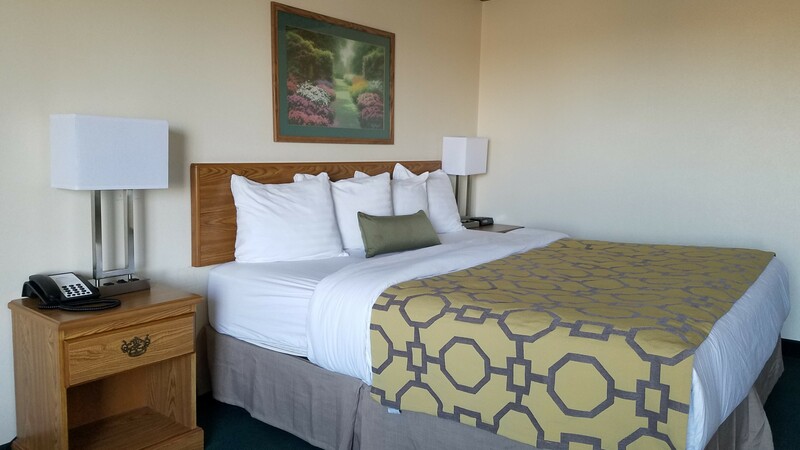 At the Baymont Inn by Wyndham Limon we’re proud to offer our guests king & queen accessible rooms, ensuring every guests of our hotel can enjoy their stay in Limon. Traveling to Limon, Colorado with a group? Our double queen rooms are perfect for groups of friends or families visiting the “Hub City”. Additionally, the Baymont Inn by Wyndham Limon provides groups with a special discounted rate! Book your group getaway with us today. 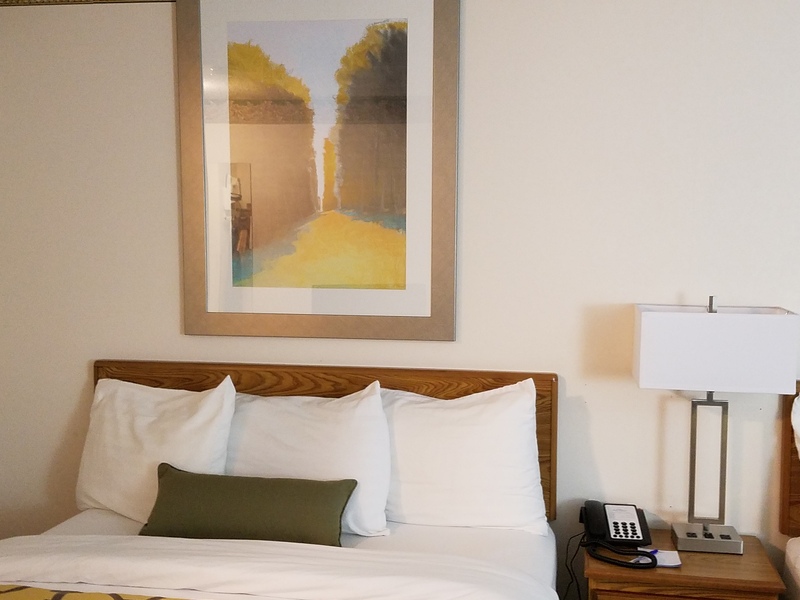 Enjoy deluxe in-room amenities like a flat-screen HDTV, a mini-fridge and bathroom amenities. Our king suite features a sofa bed and a sitting area. Our accessible rooms come equipped with ADA compliant bathroom grab bars, shower safety bars and lowered closet rods. Enjoy a comfortable night’s sleep in one of our large and cozy beds, adorned with luxury bedding. Traveling with your furry friends? We’re proud to offer our guests pet-friendly rooms so every member of your family can enjoy their stay in Limon! Learn more about our pet-policies and fees by visiting our policies page. 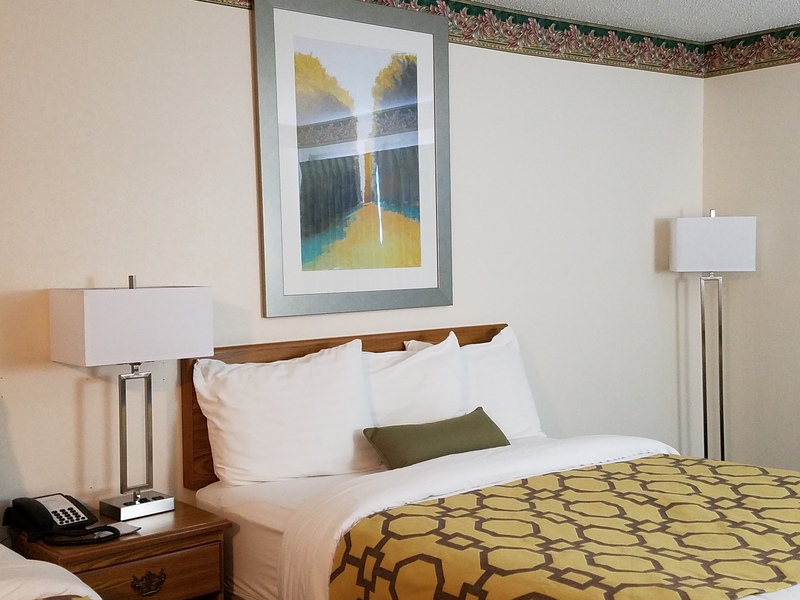 Each guest of the Baymont Inn by Wyndham can enjoy our hotel’s luxurious on-site amenities like a free continental breakfast in our hotel’s dining room, and have access to our indoor swimming pool! 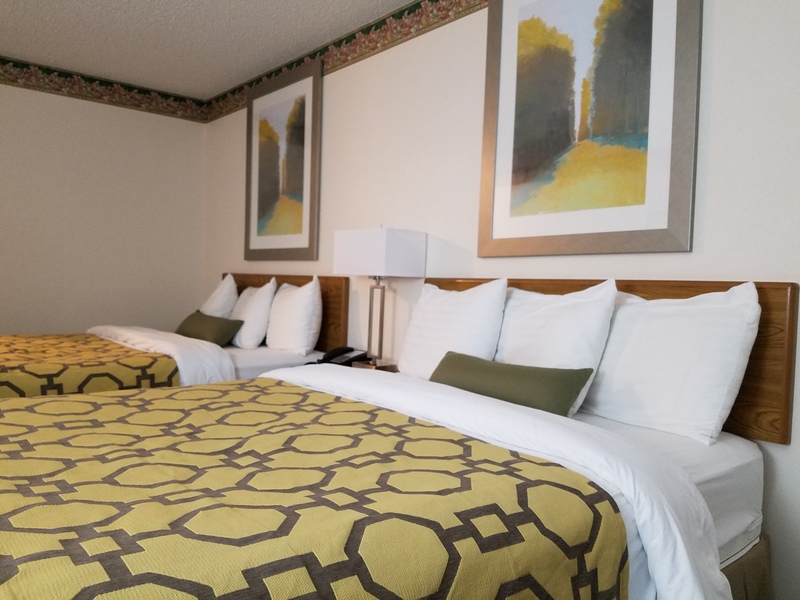 Our lodgings in Limon, Colorado are the perfect place to enjoy a romantic weekend away, and makes an excellent stop on a cross-country road-trip! Our friendly and accommodating staff are always on-hand to ensure each and every guest has an enjoyable stay with us. 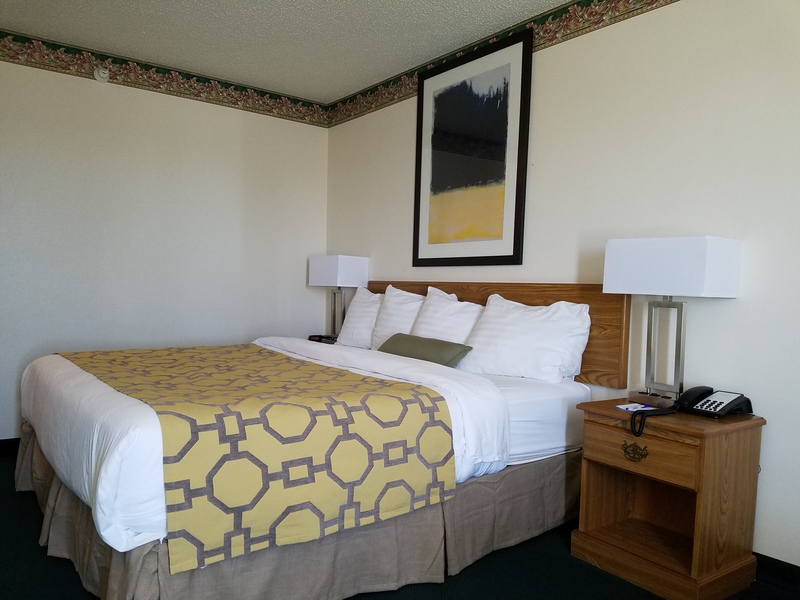 Book your room or suite at our Limon hotel today! 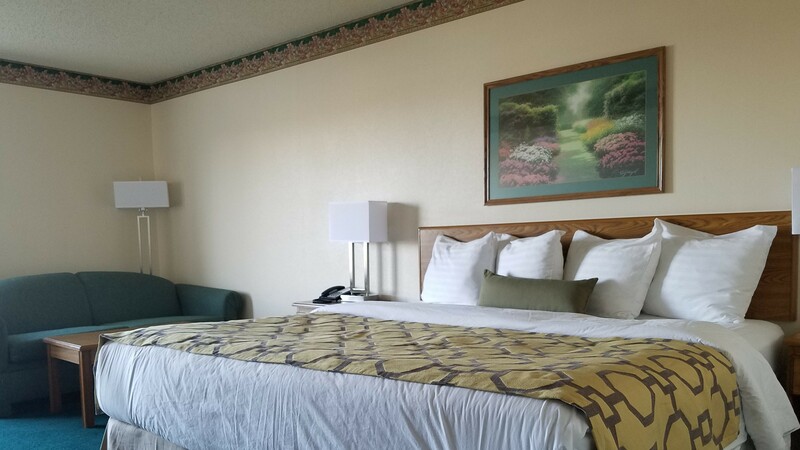 Free WiFi, sofa bed, mini-refrigerator, microwave, free continental breakfast, air conditioning, coffee/tea maker, hairdryer, family/oversized room, flat-screen HDTV, desk, free local calls, bathroom amenities, alarm clock, iron, ironing board, sitting area. 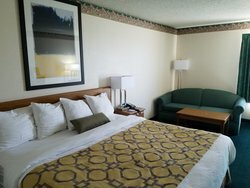 Free WiFi, mini-refrigerator, microwave, free continental breakfast, air conditioning, coffee/tea maker, hairdryer, flat-screen HDTV, desk, free local calls, bathroom amenities, alarm clock, iron, ironing board. 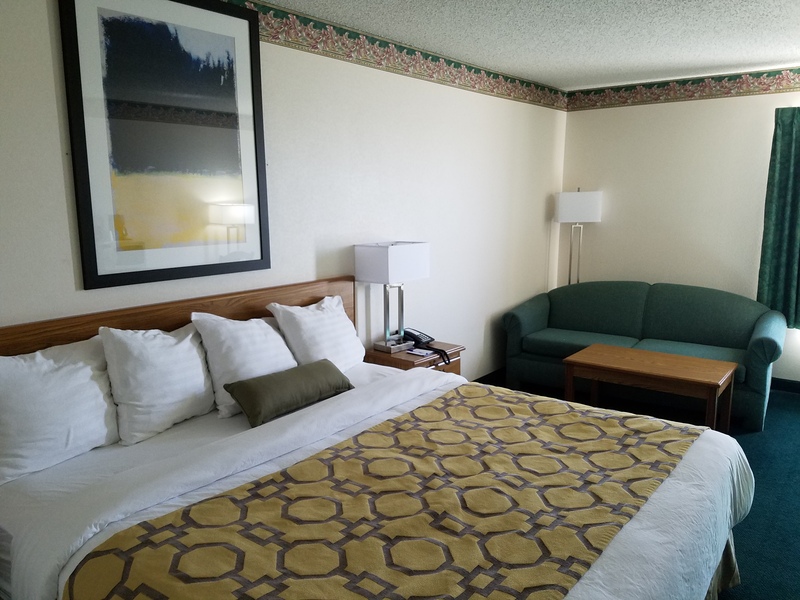 This Limon, CO hotel room offers free Wi-Fi, mini-refrigerator, microwave, free continental breakfast, air conditioning, coffee/tea maker, hairdryer, flat-screen HDTV, desk, free local calls, bathroom amenities, alarm clock, iron, ironing board. Free WiFi, mini-refrigerator, microwave, free continental breakfast, air conditioning, coffee/tea maker, hairdryer, flat-screen HDTV, desk, free local calls, bathroom amenities, alarm clock, iron, ironing board, bathroom rails, walk-in shower, closed caption TV, wheelchair access for bedroom, bathroom grab bars, shower safety bars, lowered closet rods. 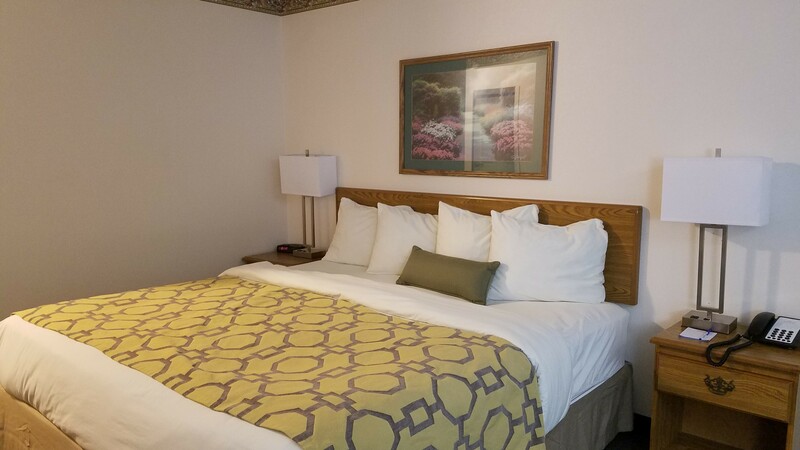 Our accessible queen lodging in Limon, Colorado promises free Wi-Fi, a mini-refrigerator, microwave, free continental breakfast, air conditioning, coffee/tea maker, hairdryer, flat-screen HDTV, desk, free local calls, bathroom amenities, alarm clock, iron, ironing board. 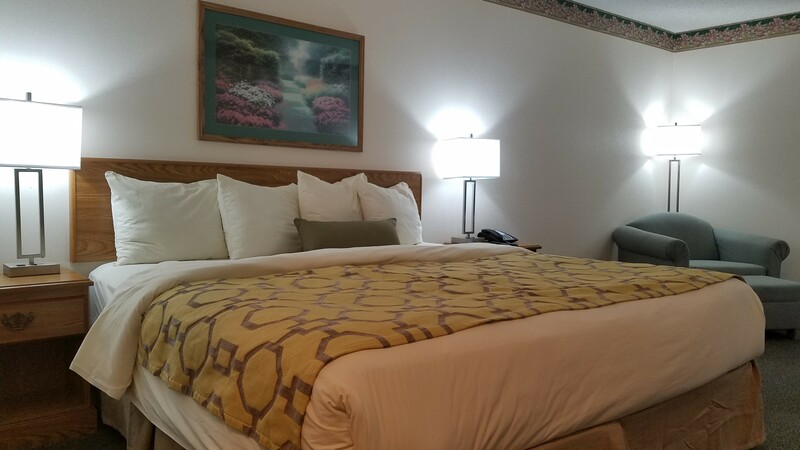 This room is equipped with accessibility features that include bathroom rails, walk-in shower, closed caption TV, wheelchair access, grab bars, shower safety bars, lowered closet rods.